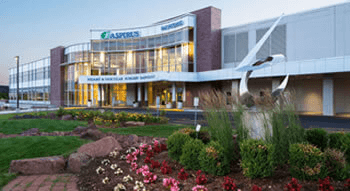 The mission of the Festival of Trees is to create a holiday tradition to be shared by the entire community for the purpose of generating significant funds, which will benefit Aspirus Comfort Care and Hospice Services. Every year, Festival of Trees not only marks the beginning of the holiday season, but more importantly, it helps raise funds for people in our community during their end-of-life journey. 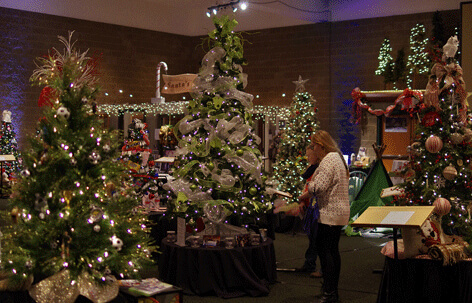 At the Festival of Trees, our committed volunteers, organizations and businesses turn Stoney Creek Hotel and Conference Center into a winter wonderland. Stroll through a glittering forest of over a hundred holiday trees, wreaths, mantels and specialty items decorated and donated by people in our community for raffle and progressive silent auction. Enjoy a complimentary cookie and beverage while you listen to a variety of local entertainers performing holiday music. Bring your family and friends and join us in celebrating the holidays while giving back to the community. Place the winning bid to take home your favorites. Every age is invited to attend.